WikiLeaks founder Julian Assange has been the subject of an "extensive spying operation" during his asylum tenure inside the Ecuadoran embassy in London, the organisation has said. In a press conference on Wednesday, WikiLeaks editor-in-chief Kristinn Hrafnsson said several individuals in Spain had threatened to leak a "massive trove of documents" accumulated on Assange, including videos, photos and audio captured inside the embassy, and further documents. It is a "total invasion of privacy", which, Hrafnsson added, was "not something that even prisoners have to endure." Hrafnsson maintained that he believed the documents had been passed over to US officials to aid in its campaign to seek Assange's extradition, but said he had no hard evidence to prove it. Spanish authorities, he said, had recently conducted an operation to seize the documents, and had opened a case for extortion. 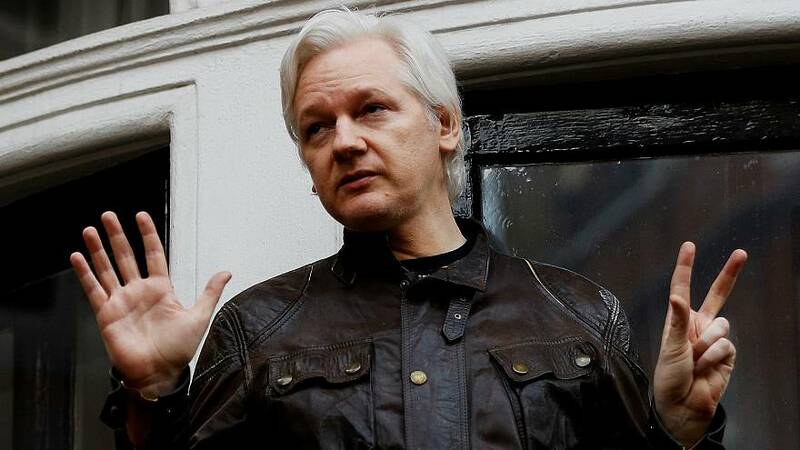 Assange's asylum at the Ecuadoran embassy in London, where he has been since 2012, has been brought into the limelight in recent days following reports that he may have overstayed his welcome. In a statement released last week, Ecudaor's Ministry of Foreign Affairs said Assange had shown "ingratitude and disrespect" to the country that had protected him, which highlighted the increasingly strained relations between the two parties. Ecuador has "endured his rudeness", despite making "significant expenditures to pay for his stay," the statement said. Assange is wanted in the United States over the hacking and leaking of classified documents concerning the wars in Afghanistan and Iraq. When asked during Wednesday's press conference whether WikiLeaks saw the irony in complaining about the very thing the organisation stands for, Hrafnsson said: "I don't see any irony in that." "I am complaining about the gathering of the material, and I am complaining about the use of the material to extort the organisation for millions of euros," he said.